This third report proposes ten innovations that are already in currency but have not yet had a profound influence on education. A few days ago I reported on the opening session of The NMC Virtual Symposium on the Future of Libraries, an event which was based on the NMC Horizon Report: 2014 Library Edition (available in PDF format). The Open University and the NMC report are important reading materials for those with responsibilities for planning and implementing use of IT in higher education. Although such reports can’t be guaranteed to describe what the future will bring they do provide useful background material which can be valuable in informing institutional planning and decision-making. I’ll provide some personal thoughts on the areas of innovation which are of particular interest to me. “Massive open social learning brings the benefits of social networks to the people taking massive open online courses (MOOCs). It aims to exploit the ‘network effect’, which means the value of a networked experience increases as more people make use of it.” The section summarises this are as “Free online courses based on social learning“. Initially I was surprised at the inclusion of this topic as the first innovative area since the Open University has led MOOC activities in the UK through its FutureLearn platform. 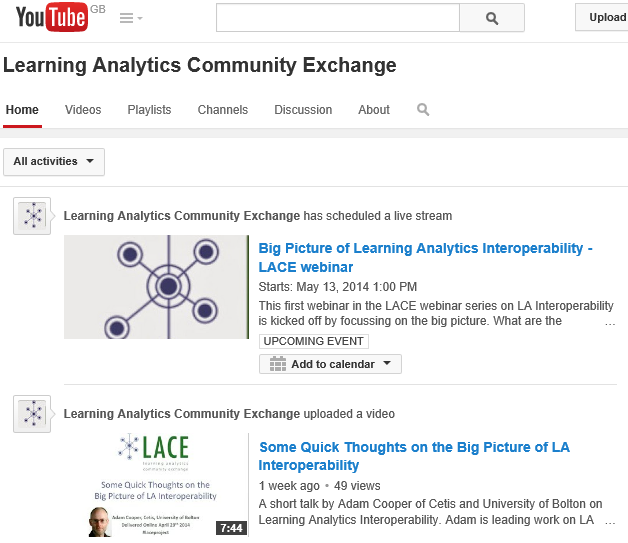 However it seems that the emphasis is on “social learning” rather than simply massive open online courses. It should also be noted that the report gives this are a potential impact rating of high and suggests a short (1–2 years) timescale for its widespread implementation. relevant field they pose it online. Other people in the community provide answers. Yet more people expand the answers and rate the contributions, so the most interesting questions and best answers become more visible to all users. Back in 2010 I asked the question “Is Stack Overflow Useful for Web Developers?” The answer, it seems, was ‘yes’: “I’m pretty sure that most web developers will have come across Stack Overflow quite some time ago“. 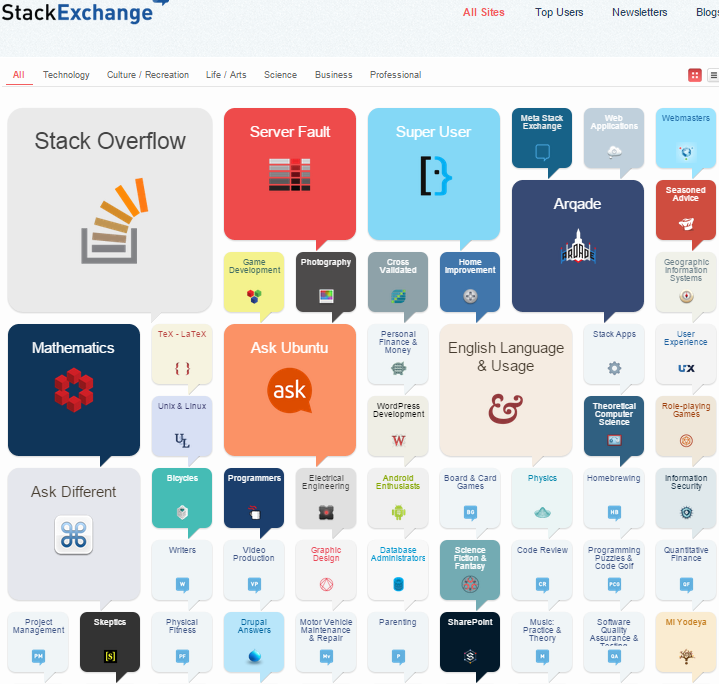 Looking at the StackExchange lists of sites it seems that although the original Stack Overflow “Q&A for professional and enthusiast programmers” is still the most popular, many other areas are also covered as shown (in part) in the accompanying screenshot. The less widely-used areas, which are not included in the image, include “History of Science and Math“, “Italian Language” and “History“. I have to admit that the extent of such communities which can support informal learning as part of the StackExchange range of services was a surprise to me, which I had previously thought was focussed on IT topics. As learning is taken online, there are opportunities to collect data on student activities and analyse these, both to inform the design of new courses and to improve the learning experience. The data can also be linked with test results to show which learning activities produce good results and to identify where learners are struggling. The reports highlights the question of “what to measure?” and “ethical considerations” as two important areas which need to be addressed. An important consideration for institutions wanting to implement learning analytics is their capacity to produce and act on reliable data. Organisational change takes substantial time, effort and financial resources. We expect an increased use of learning analytics by managers and teachers to improve the quality of their courses. 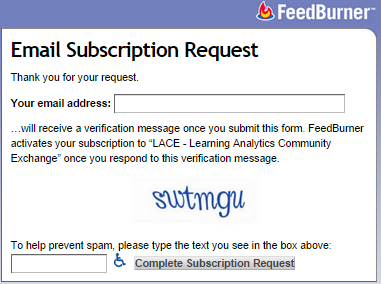 This, in turn, will help the learning analytics community to understand more clearly which variables for learning are important, how to incorporate informal learning, and where the ethical boundaries of learning analytics lie. Note these are areas which are being addressed by the EU-funded LACE (learning analytics community exchange) project which Cetis is involved with. I should also mention that my colleagues were authors of the Cetis Analytics Series and co-authors of Analytics for Education, an article published in JIME. I’ve an interest the learning and staff development opportunities which networked technologies can provide beyond the lecture theatre. In this context I tend to use the term “amplified event“. For researchers this may be characterised as the “amplified conference“, a term coined in 2007 by Lorcan Dempsey and described in more detail on Wikipedia. Initially communication tools, such as Twitter, were used to encourage a remote audience to engage with discussions. However we may also be seeing resources being made available before an event, in part simply to facilitate sharing with a remote audience, but this enables use of such resources in advance of a talk. Bring your own devices: As described in the report “when students bring their own smartphones and tablet computers into the classroom, this action changes their relationship with the school and with their teachers“. The report feels that BYOD will have a high potential impact in a timescale of 2–5 years. The importance of mobile devices has highlighted in the recent NMC Virtual Symposium on the Future of Libraries, with the opening session providing an “Emphasis on Mobile“. The session build on the findings of the NMC Horizon Report: 2014 Library Edition in which mobile apps was felt to have a time-to-adoption horizon of one year or less. It therefore seems surprising that the OU’s Innovating Pedagogy report predicts a longer period before ‘bringing your own device’ has a significant impact in learning. Perhaps the differences reflect the differing perspectives from the teaching and learning and library sectors, with the library focussing on ensuring that content is mobile-ready, whereas the teaching and learning community will need to consider how BYOD policies can be integrated within the learning environment. The opportunities provided by BYOD approaches will also have to aligned with institutional policies regarding security, privacy and support issues, as summarised in the following image (taken from Bring Your Own Device: A Guide for Schools. Edmonton, Canada: Alberta Education, available in PDF format). 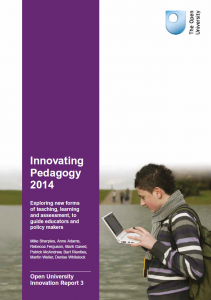 I’ve given my initial thoughts on four of the ten innovative areas mentioned in the Innovating Pedagogy 2014 report. I’d welcome your thoughts.